According to InfoSys, 86% of consumers report that personalized marketing plays a major role in their purchasing decisions. Enterprise marketers must find ways to deliver custom content at a local level while upholding their hard-earned brand. Pageflex’s Distributed Marketing Platform makes it easy to do both—giving corporate marketers control and visibility while helping your teams in the field create highly-customized marketing campaigns. The result? Higher engagement, a better experience for customers, and more market share and revenue for your enterprise. Discover how to grow your brand without disrupting it—get your copy of the Ultimate Guide to Distributed Marketing now! If your enterprise has at least 50 distributed end users—such as sales reps, field marketers, affiliates, partners, or franchisees—distributed marketing is critical to driving brand activation at a local level. 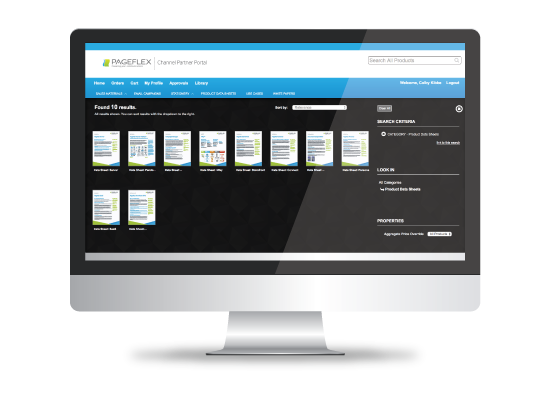 Pageflex’s Distributed Marketing Platform empowers your field teams to customize, create, and circulate marketing campaigns that drive results, all while upholding your brand’s integrity. Meanwhile, you can manage, track, and assess every piece of marketing material that’s communicated to your customers, ensuring full visibility into your brand’s presence. 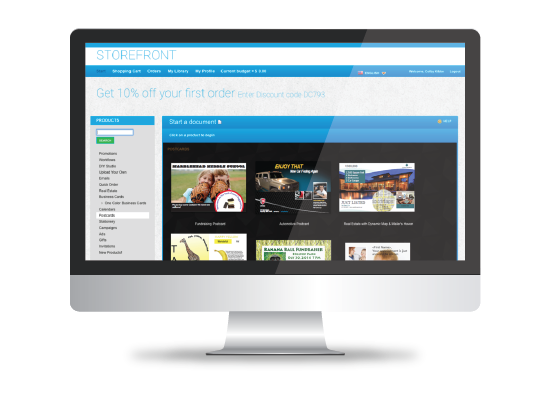 Do you need better insight into your local distributors’ marketing campaigns? Your business is unique and should be treated as such—which is why we take the time to develop a solution that’s perfectly tailored to your needs. Pageflex partners with you to ensure your distributed marketing platform seamlessly integrates with your current marketing workflow so that it fits you like a glove. Vast integration capabilities ensure that Pageflex’s Distributed Marketing Platform effortlessly evolves your existing marketing workflow instead of disrupting it. With third party integrations, implementation has never been easier—you may even be able to get rid of some of the clunky, single-service applications you’ve been using to build your marketing campaigns! Ready to build your brand with distributed marketing? 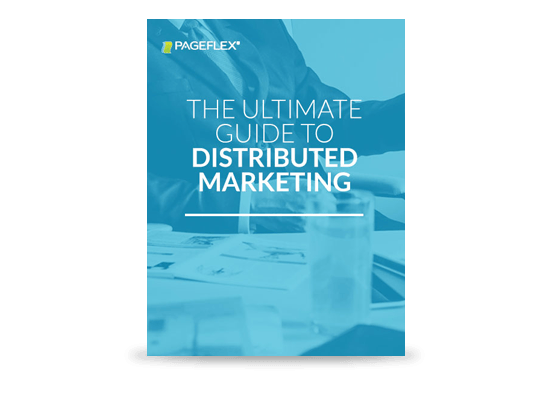 Get the Ultimate Guide to Distributed Marketing to discover how enterprises are customizing their marketing campaigns on a local level for better results! Since the beginning, Pageflex has been supporting marketing and print service providers with the widest breadth of web-to-print solutions in the graphic arts industry. By building customized solutions that include flexible modules and an automated production process, we can help drive better sales engagement and customer satisfaction for your business. Want to increase customer satisfaction with a tailored Marketing and Print Service Provider process? Pageflex can help. Stay Informed About the Latest Trends in Marketing Technology! Are you ready to grow your brand on a local level to drive more revenue? Book a consultation today with one of our distributed marketing experts to see how Pageflex can help you achieve better marketing results.